Riot Police Tactical Helmet (RPTH-US01), offered by us, is highly durable and is known for providing proper protection to the wearer. It comes with non-ballistic face shield. 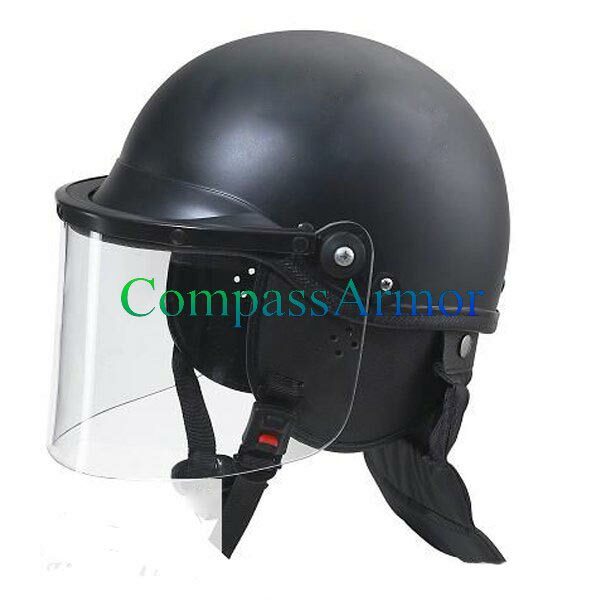 We are reckoned among the renowned Manufacturers, Exporters and Suppliers of anti riot Helmet. We have a well-equipped production unit, due to which, it has become easy for us to produce riot Helmets in bulk at a time. We are capable of delivering retail as well as bulk orders for the helmet within the promised time frame. Made of PC /ABS,with a convex visor,lether neck protector,durable and adjustable.